Criminal asset forfeiture is a process in which federal, state or local law enforcement agencies seizes a convicted criminal’s property after they have been sentenced. It is different from civil asset forfeiture because it requires that the property’s owner is found guilty and convicted of committing a crime. Criminal forfeiture is typically issued as part of a sentence. Civil forfeiture is a more common procedure because law enforcement does not have to prove the owner guilty before seizing their property. All proceeds from forfeitures go directly to the arresting agency, so prosecutors and law enforcement are incentivised to seize currency and assets in order to purchase supplies such as weapons, ammunition and police cars. The most common types of cases that result in sentences that include criminal asset forfeiture are drugs, fraud and theft. In South Florida, drug-related arrests happen daily. Miami has been a notorious source of drugs coming into the United States since the 1980’s. Millions of dollars in drugs and valuables are seized in South Florida every day. Whether your property has been seized by the Broward Sheriff's Office, Palm Beach Sheriff's Office, Miami Dade Sheriff's Office, The Federal Bureau of Investigation, Alcohol Tobacco and Firearms, or any other government agency be sure to call The Ansara Law Firm and you will find the legal expertise necessary to successfully defend your property from government seizure or forfeiture. 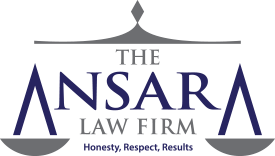 Attorney Richard Ansara has handled many forfeiture cases in their respective tenures, and their clients are never disappointed.